Jessica has been doing research and evaluation work in education, social work, public health, and related fields for 15 years. In addition to planning and implementing strategic company initiatives, she oversees all projects and evaluation staff at Via Evaluation. This, along with ongoing professional development, gives her a broad perspective on evaluation methods, purposes, and related topics. She has completed a wide range of projects funded by federal and state governments, foundations, community-based organizations, school districts, and others in a variety of settings. Through this experience, she understands that while common evaluation methods can be applied across projects, each client and project has unique strengths, needs, and contexts that affect the evaluation process, from planning through reporting. She is driven to provide meaningful, honest, timely information in a way that impacts peoples’ perspectives and actions. Ms. Weitzel is the Program Co-Chair of the American Evaluation Association (AEA) Data Visualization and Reporting group. 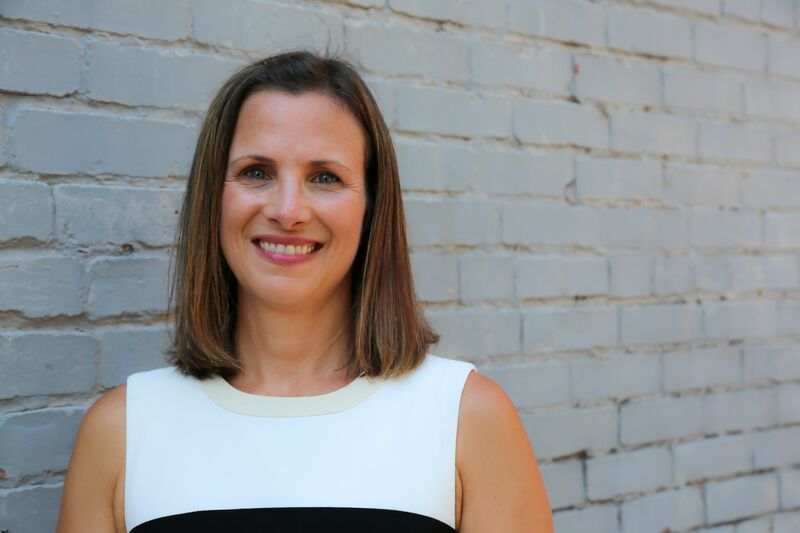 She also is a member of the United Way ALICE (Asset Limited, Income Constrained, Employed) Research Advisory Committee, and serves in other volunteer roles to share evaluative perspectives. She regularly presents at national and local conferences about evaluation, grants, and data use. She is most satisfied, though, when she works with people in real-world settings, helping them understand and use data to provide high-quality services. In addition the her evaluation role, Jessica is proud to be co-owner of a [certified WBE] business! As a mother of daughters and a Girl Scout leader, she knows that women business leaders have an important role to play in guiding the next generation of socially responsible entrepreneurs. Weitzel, J.A., Hagstrom, E. (2018, January). Getting More from Your Data. 21st CCLC Rest of State Resource Center’s Conference. Albany, NY. Weitzel, J.A. (2017, January). Finding and Incorporating Research to Increase Program Effectiveness. Afterschool Network of Western New York Professional Development Training. Buffalo, NY. Dickinson, H., Weitzel, J.A. (2016, November). Starting with the End in Mind: Write Better Proposals by Increasing Your Knowledge of Evaluation. Annual Conference of the Grant Professionals Association, Atlanta, GA.
Hubbard, P.H., Weitzel, J.A. (2016, October). Scaling up Your Dataviz. American Evaluation Association (AEA) 2016 Annual Conference, Atlanta, GA.
Weitzel, J.A., Knetsis, K. (2016, October). Designing Evaluations for State and Federal Program Grants. AEA 2016 Annual Conference, Atlanta, GA.
Weitzel, J.A., Taggart C. (2016, April). Crafting a Useful Logic Model. 2016 ASW:NYSAN Annual Conference, Saratoga Springs, NY. Weitzel, J.A., Session Chair. (2015, November). Four Creative Ways to Use Dashboards that You Might Not Have Thought Of. AEA 2015 Annual Conference, Chicago, IL. Weitzel, J.A. (2014, October). Report Whisperer: Tips and Tricks for Low Cost Visualization and Reporting. American Evaluation Association 2014 Annual Conference, Denver, CO.
Bohen, E., Jackson, K., DeGeorge, K., Weitzel, J.A. (2014, October). PBIS Implementation in a Large Urban District. Extended School Day/School Violence Prevention Coordinator Meeting, Albany, NY. Weitzel, J.A. (2014, May). Tools for Program Sustainability. Michigan AfterSchool Association Summer Summit, East Lansing, MI. Taggart, C., Weitzel, J.A. (2013, November). Crafting a Useful Logic Model. Child Care Resource Network Annual Conference, Amherst, NY. Weitzel, J.A., Taggart, C. (2013, October). Don’t Let Your Data be a Doorstop: How to Convey Results for Action. American Evaluation Association 2013 Annual Conference, Washington, DC. Weitzel, J.A., Session Chair. (2013, October). Successes and Challenges of Educational Evaluation and Evaluation Capacity Building Within an International Context: Governments and Schools in Santiago, Chile Propose to Address School Violence Utilizing National and International Educational, Training, and Evaluation Teams. American Evaluation Association 2013 Annual Conference, Washington, DC. Weitzel, J.A., Howard, C. (2012, October). Innovative Tools for Evaluation Project Management. Presentation at the American Evaluation Association Annual Meeting, Minneapolis, Minnesota. Weitzel, J.A., Hagstrom, E. (2012, October). Working with New Grantees. Roundtable presentation at the American Evaluation Association Annual Meeting, Minneapolis, Minnesota. Weitzel, J. A., Taggart, C. (2011, November). Dealing with Sensitive Data in Community-based Settings. Presentation at the American Evaluation Association Annual Meeting, Anaheim, California. Howard, C., Weitzel, J. A. (2011, May). Innovative Tools for Evaluation Project Management. Presentation at the Eastern Evaluation Research Society, Galloway, New Jersey. Mays, D., Usdan, S., Arriola, KJ, Weitzel, J.A., Bernhardt, J. 2009. Development and Validation of the Retrospective Alcohol Context Scale. The American Journal of Drug and Alcohol Abuse, (35:2), 109-114. Weitzel, J. A. (2009, May). Using Wireless Handheld Computers and Other Technologies to Reduce the Negative Consequences of Drinking Alcohol. Presentation at the University of New Mexico Community DWI Conference, Albuquerque, New Mexico. Usdan, S., Martin, R.J., Mays, D., Cremeens, J., Jacob-Arriola, K., Aungst-Weitzel, J. & Bernhardt, J. 2008. Self-reported consequences of intoxication among college students: Implications for harm reduction approaches to high-risk drinking. Journal of Drug Education (38:4), 377-387. Weitzel, J. A., Nochajski, T. H., Coffey, S., Farrell, M. G. 2007. Mental health among suburban drug court participants. The American Journal of Drug and Alcohol Abuse, (33:3), 475-481. Weitzel, J. A., Bernhardt, J., Usdan, S., Mays, D., Glanz, K. 2007. Using Wireless Handheld Computers and Tailored Text Messaging to Reduce Negative Consequences of Drinking Alcohol. Journal of Studies on Alcohol, (68:4), 534. Bernhardt, J.M., Usdan, S., Mays, D., Arriola, K.J., McGill, T., Weitzel, J.A., Cremeens, J., Martin, R.J. 2007. Alcohol assessment using wireless handheld computers: A pilot study. Addictive Behaviors (32:12), 3065-3070. Aungst, J., Nochajski, T.H., and Farrell, M. G. 2006. Assessing mental health in a drug court. [Abstract]. Alcoholism: Clinical and Experimental Research, 30(6), Supplement, P610. Farrell, M. G., Weitzel, J. A., Nochajski, T. H., Coffey, S. (2006, November). Improving identification and treatment of co-occurring substance abuse and mental illness in therapeutic justice courts. Poster presentation at the Robert Wood Johnson Foundation Substance Abuse Policy and Research Project Annual Meeting, Hilton Head, South Carolina. Farrell, M. G., Weitzel, J. A., Nochajski, T. H. (2006, November). Extending the Therapeutic Justice Model to problem gamblers. Poster presentation at the 2006 Annual Meeting of the American Public Health Association, Boston, MA. Aungst, J., Nochajski, T. H., Farrell, M. G. (2006, June). Assessing mental health in a drug court. Poster presentation at the 29thAnnual Scientific Meeting of the Research Society on Alcoholism, Baltimore, MD. Koski, G., Aungst, J., Kupersmith, J., Getz, K., Rimoin, D. 2005. Cooperative research ethics review boards—a win-win solution? IRB: Ethics and Human Research, 27(3), 1–7. Farrell, M. G., Nochajski, T. H., Aungst, J. (2005, November). Characteristics of drug court participants with additional mental health problems. Poster presentation at the Robert Wood Johnson Foundation Substance Abuse Policy and Research Project Annual Meeting, Tucson, Arizona. Aungst, J., Bernhardt, J. M., Usdan, S., Mays, D., Glanz, K. (2005, December). Using wireless handheld computers to reduce the negative consequences of drinking alcohol. Oral presentation at the 2005 Annual Meeting of the American Public Health Association, Philadelphia, PA.
Usdan, S., Aungst, J., Cremeens, J., Martin, R. J., Bernhardt, J. M. (2005, December). Context and consequences of heavy drinking among college students: Results from a series of undergraduate focus groups. Poster presentation at the 2005 Annual Meeting of the American Public Health Association, Philadelphia, PA.
Bernhardt, J. M., Usdan, S., Mays, D., Aungst, J., Cremeens, J., Martin, R.. (2005, December). Improving alcohol assessment with wireless handheld computers. Poster presentation at the 2005 Annual Meeting of the American Public Health Association, Philadelphia, PA.
Aungst, J., Haas, A., Ommaya, A., Green, L., Eds. IOM. 2003. Exploring Challenges, Progress, and New Models for Engaging the Public in the Clinical Research Enterprise: Workshop Summary. Washington, DC: Nat. Academies Press.